The US-based real estate investment firm purchased the property on behalf of its LaSalle Asia Opportunity V fund (LAO V), LaSalle announced today. The seller is Alpha Asia Macro Trends Fund II, a vehicle of Singaporean fund manager Alpha Investment Partners. 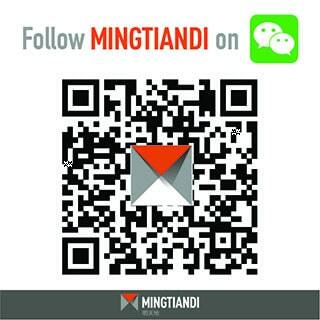 Sources in the market have indicated to Mingtiandi that the final price for the asset was between RMB 42,000 to RMB 44,000 per square metre of above-ground gross floor area – implying a total price tag of RMB 2.36 billion ($376 million) to RMB 2.48 billion for the 56,299 square metre building. The deal was forged in January with Alpha, which is part of Keppel Group’s asset management arm Keppel Capital, disposing of a property it had acquired from John Lim’s ARA Asset Management in August 2014. This latest transaction values the central Shanghai building at over 50 percent more than the RMB 27,000 per square metre that Alpha reportedly paid four years ago when it bought the asset for approximately RMB 1.54 billion, according to an account in the Wall Street Journal at the time. In a separate statement released today, Alpha said it had paid a consideration of $133 million to acquire the asset. Alpha added that it had realised an internal rate of return of nearly 20 percent on the sale of SIP after repositioning the property. “This landmark asset is an excellent addition to LAO V and our experienced team are well-placed to implement our opportunistic strategy and reposition the building in this prime location,” commented Mark Gabbay, LaSalle’s chief executive and chief investment officer for Asia Pacific. Completed in July 2009, Shanghai International Plaza is located at 1318 Sichuan North Road, next to the North Sichuan Road metro station. The neighbourhood, an emerging business district on the fringes of downtown Shanghai, is north of the Bund and across the river from Pudong’s Lujiazui financial district. 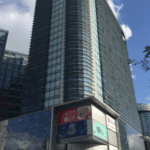 The US investment manager is said to have faced a number of competitors for its new Hongkou asset, with market reports indicating that Singapore’s CapitaLand had earlier signed a memorandum of understanding to purchase the tower, and American investment firm AEW is also said to have entered discussions with Alpha regarding the property. Formerly called Shanghai International Capital Plaza, the tower has 24 stories of office space above a six-storey retail podium. According to documents used to market the property to potential investors current occupancy approaches 90 percent and rentals average RMB 5.8 ($0.92) per square metre per day, lower than the area’s average market rent of RMB 6.5 to 6.8. Alpha said it had undertaken value-adding and enhancement works, included adding a concierge to the office tower, which improved the tenant mix. The company is parting with the asset just under one year after the Singaporean fund manager teamed up with stablemate Keppel Land China and Germany’s Allianz to buy the Soho Hongkou project, some 350 metres away, from Beijing developer Soho China for RMB 3.6 billion. Singapore-based real estate fund manager ARA Asset Management had bought what is now Shanghai International Plaza in 2011 for RMB 1.16 billion ($188 million). LaSalle scored the deal at a time when the North Bund shipping and financial services hub, which encompasses the North Sichuan Road area, is seeing an influx of new high-quality office supply. Sinar Mas Centre and Landmark Centre are among the major projects that have come online in the neighbourhood in recent years. The North Bund market has around 1.7 million square of metres of total office stock, 67 percent of it grade A space, property consultancy Knight Frank reported last November. Construction is projected to peak over the next three years, with total supply growing to more than 2.3 million square metres by 2020. At present, the Sichuan North Road vicinity has an overall office occupancy rate of more than 90 percent, supported by logistics, shipping, and domestic financial firms, according to LaSalle. LaSalle Investment Management, a subsidiary of NYSE-listed commercial real estate firm JLL, has about $59 billion of global investments under management worldwide, and invests in Asian properties on behalf of individual investors as well as an array of funds. As of last August, the company had made about 150 investments totalling over $10 billion on behalf of its LaSalle Asia Opportunity Series. LaSalle launched LAO V in 2016 after securing $335 million in capital commitments. In August of last year the firm announced that it was boosting the target for the closed-end, pan-Asian opportunistic vehicle to $1 billion amid strong demand from the region’s institutional investors.